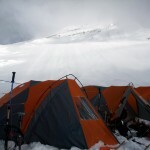 At 10.30 yesterday morning there was an avalanche above Camp 3 on Cho Oyu. 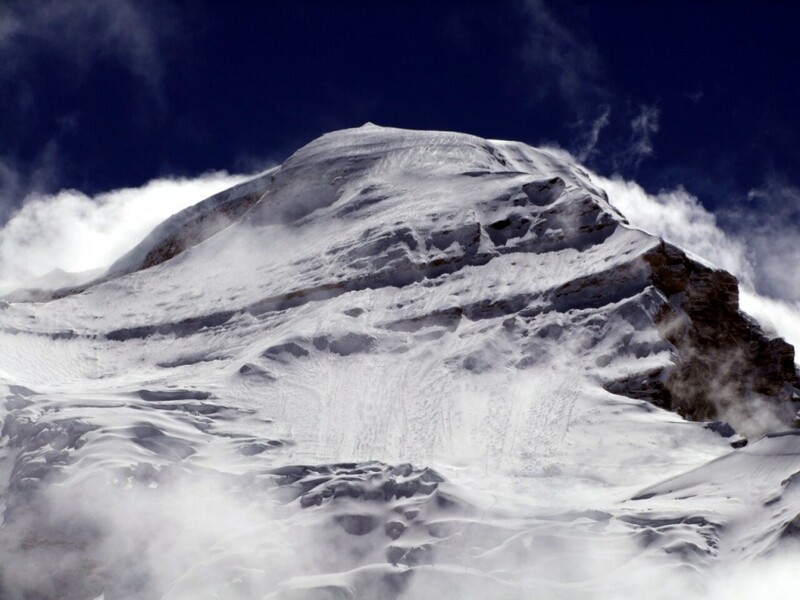 Seven climbers from the China Tibet Mountaineering Association who were fixing ropes, fell 10 metres over the Yellow Band, a band of rock high on Cho Oyu’s west face, into the snow slopes below. Remarkably, there were no fatalities, though a number of injuries including broken arms and ribs. 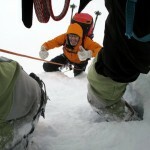 We believe about 30 climbers, including Sherpas from our own team, were involved in the rescue. 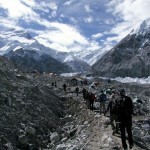 All but one of the climbers were able to walk back to Base Camp with assistance, and the one who couldn’t was carried. 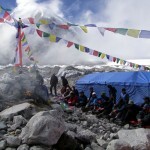 Some were taken back to the roadhead at Chinese Base Base Camp, and all should make a full recovery. As far as this affects our own summit attempt, the large volume of snow over the last few days means that parts of the mountain are currently at risk from avalanche, and we must wait for the snow to consolidate. We were planning on taking another rest day today before heading back up to Camp 1 tomorrow, but we will now be spending at least one further rest day at Base Camp tomorrow and assessing the situation before leaving again. I can’t end this entry without mentioning Alenka, our Slovenian team doctor, who is here in a personal rather than professional capacity, yet has spent an immense amount of time helping out people on not just our own but other teams, who have been suffering illnesses while they acclimatise. Yesterday she was extremely busy helping out the injured climbers at Base Camp, and insisted on accompanying the most seriously injured climber down to Chinese Base Camp overnight. She and Tomaz returned a couple of hours ago, after descending 800m and back up again, and are currently sleeping off their night time excursion. 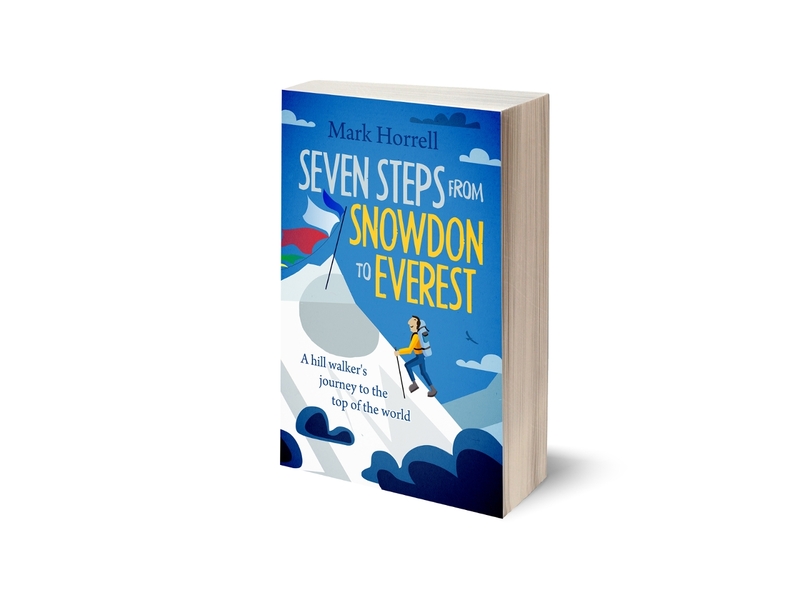 At times on a mountaineering expedition it can be hard enough to look after yourself and focus on your own climb, but for helping so many other people out at the same time, I take my hat off to her.